A stock speedboat called Barracuda. 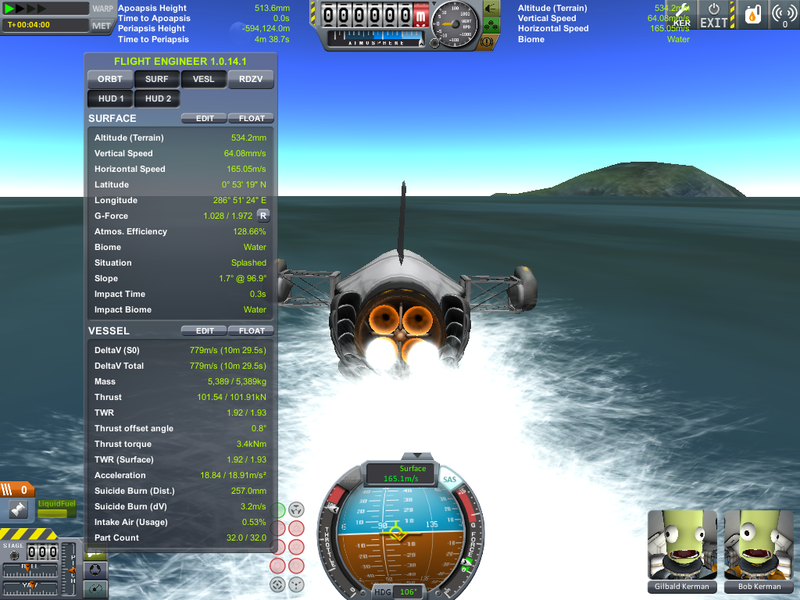 Built with 57 of the fastest parts, its root part is mk2Cockpit.Standard. 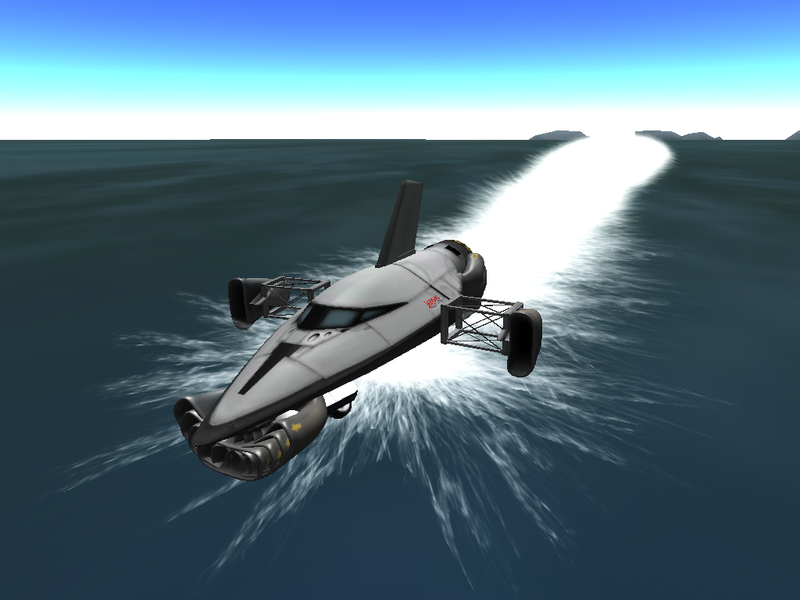 A small and sturdy speedboat, the Barracuda carries two Kerbals at a top speed of 175 m/s with Ferram’s Better Buoyancy mod, or 120 m/s stock. Now with new and improved stability, the Barracuda is like the tiger of the sea from which it gets its name. 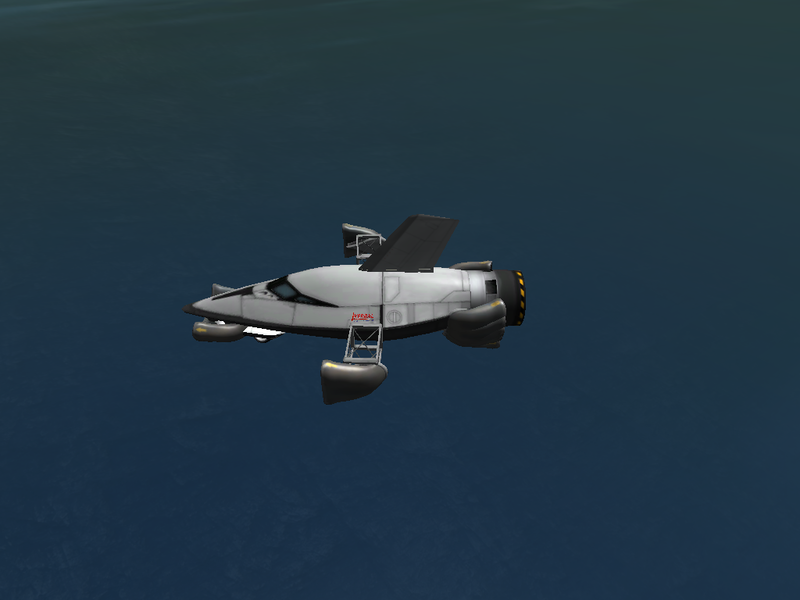 Circumnavigate Kerbin. Murder Deep Sea Krakens. Go scuba diving. Abandon ship. The Barracuda is extremely versatile, especially with Better Buoyancy installed, so go crazy. See also the Roadrunner, and the Loggerhead, the Barracuda’s flying car and suborbital spaceplane counterparts, respectively. Feedback is much appreciated! So get commenting and tell me what you think could be improved.